Sullivan & Cromwell's clients include some of the largest U.S. broker-dealers and major non-U.S. broker-dealers and their U.S. subsidiaries. The Firm also serves small and midsize firms and affiliates of insurance, commercial banking and other financial services companies. S&C lawyers who advise on broker-dealer matters work closely with colleagues in the Firm's other related practice groups. Together they provide broker-dealer clients with a full range of regulatory, corporate, securities, mergers and acquisitions, tax and other advice. The Firm advises clients on the applicability of broker-dealer registration requirements, particularly regarding non-U.S. entities that wish to participate in the U.S. markets. S&C also represents unregistered affiliates of registered broker-dealers that wish to engage in securities-related activities. In addition, the Firm advises a large number of broker-dealers that are affiliated with bank holding companies on the U.S. banking law requirements that apply to their securities activities. Lawyers in the Broker-Dealer Group deal with all aspects of the business conducted by U.S. and non-U.S. broker-dealers. Financial Industry Regulatory Authority (FINRA) and other self-regulatory organization rules. The broker-dealer regulation practice also monitors developments in regulatory and compliance matters, including SEC and FINRA rule proposals. The Firm represents broker-dealer clients in litigation, arbitration and regulatory enforcement proceedings. The Firm also advises broker-dealer clients in connection with regulatory inquiries and internal compliance reviews. Sullivan & Cromwell advises clients in the acquisition or sale of broker-dealers. In this context, the Firm's work includes assisting clients with the regulatory approval process and the conduct of a regulatory “due diligence” review. S&C has also provided extensive advice to broker-dealers seeking to develop and conduct business over the Internet, with particular emphasis on e-offerings, online trading operations and electronic communications networks. Sullivan & Cromwell has advised clients on many of the highest-profile capital markets transactions within the broker-dealer industry. 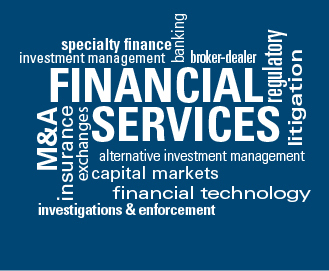 In addition to advising on transaction structure and implementation, the Firm provides extensive advice on regulatory and compliance aspects, including approvals for changes in control and business activities; “due diligence” reviews of legal matters; and syndicate trading, sales and research practices. a boutique broker-dealer, in a merger with another boutique broker-dealer that resulted in a change in ownership and successor filing and a significant expansion of business activities under SEC and Financial Industry Regulatory Authority (FINRA) rules. a foreign bank’s affiliated U.S. broker-dealer, in expanding from a small advisory and private-placement business with about 25 registered representatives to include sales, trading and research activities and about 75 registered representatives. CICC US Securities, Davy Securities, Mediobanca Securities USA National Australia Capital Markets, Prescient Markets and The Municenter, regarding SEC and FINRA registration. Barclays Capital, CICC US Securities, Mitsubishi UFJ Securities (USA), Nomura Securities, RBC Capital Markets and UBS Securities, in ongoing compliance advice. Merrill Lynch, in its $6.6 billion private placement of mandatorily convertible securities and its $6.2 billion private placement of common stock. China Investment Corporation (China), in its $5.6 billion investment in Morgan Stanley through the purchase of mandatorily convertible securities. Thomas Weisel Partners Group, in its $103.5 million IPO. Partners Group Holdings (Switzerland), in its $424 million IPO. underwriters, in the $227.7 million IPO of Options Xpress Holdings. underwriters, in the $100.6 million IPO of Greenhill & Co. and its $156.4 million and $285.8 million follow-on stock offerings. broker-dealers or their affiliates, in securities offerings, including SEC-registered, Rule 144A/Reg. S, Reg. D and other private offerings of debt and equity, in the United States, Europe and Asia. ING Groep, in the acquisition of ShareBuilder by ING DIRECT. Fox-Pitt, Kelton, in its acquisition of Cochran Caronia Waller Securities. Citadel Investment Group, in its acquisition of a 25 percent stake in Direct Edge Holding. Archipelago Holdings, in its $10.5 billion merger with the NYSE. This merger was the largest-ever merger among securities exchanges. Sumitomo Mitsui Financial Group, in its $1.6 billion acquisition of SMBC Friend Securities. Piper Jaffray Companies, in the $815 million sale of its Private Client Branch Network to UBS. UBS, in its $624 million acquisition of Caisse Centrale de Réescompte. RBC Capital Markets, in its acquisition of the broker-dealer business and other assets of Carlin Financial Group.